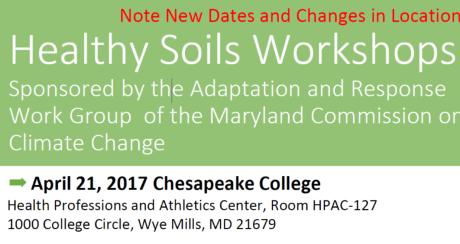 The Rural Maryland Council is holding a workshop at Chesapeake College on soil science and health. The workshop will also include a presentation on the guidelines and application process for a $100,000 Innovation Technology Grant. The grant is for projects dealing with the integration of nutrient reductions with climate change adaptation. The workshop will be held on April 21, 2017 Chesapeake College – Health Professions Center Room Wye Mills, MD at 8:30AM-12 PM. Click here to find out more mda.maryland.gov/Documents/Healthy-Soils-Workshops.pdf. 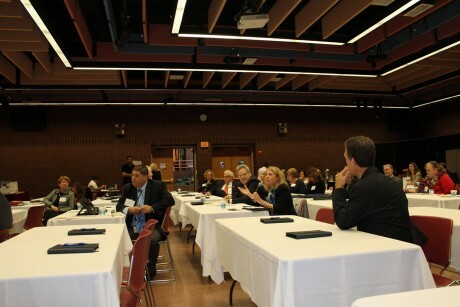 Academic, business and government officials from throughout Delmarva convened at Wor-Wic Community College January 29 to sign a Memorandum of Understanding between four colleges and unveil the consortium’s new “tech transfer” initiative. “Grow Your Business by Accessing New Product Technology” is a five-week, 30-hour course being launched at Wor-Wic Community College this month. Beginning February 22, the inaugural course take place on five consecutive Fridays from 8 am to 4 pm at Wor-Wic’s Workforce Development Center. Participants will be credited 50% of the $995 fee if they attend all five days and will produce a tech-transfer strategy and action plan by the end of the program. The program will also be taught at Chesapeake College in Wye Mills, Delaware Technical Community College in Dover and Georgetown, and Eastern Shore Community College in Virginia. For information and registration, contact 410-334-2815 or visit www.dt2i.com.